At The Law Office of Karl A. Mueller, PLC, in Gilbert, Arizona, we are fully committed to protecting your rights and privileges and helping mitigate the consequences you may face as a result of your traffic violation or traffic-related criminal offense. Serving clients throughout Maricopa County and all of the surrounding areas of Southern Arizona, our law firm has three total offices in the region, each providing convenient access to the highest level of advocacy and support possible for your serious legal challenge. 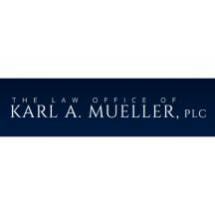 Our founder and principal attorney, Karl A. Mueller, has successfully handled hundreds of cases throughout his career. A former prosecutor who focused on vehicular crimes, he has unique insight into the criminal justice system, which enables him to devise the most effective defense strategy on your behalf. Whether you wish to challenge a speeding ticket, or you face a more serious charge of DUI, reckless driving or driving with a suspended license, you can turn to our law firm for the help you need to fight the charges you face in order to preserve your freedom and protect your future. For a free initial consultation concerning your matter, you can contact The Law Office of Karl A. Mueller, PLC, to schedule an appointment. We are available 24 hours a day, seven days a week to speak with you about your matter and begin the process of fighting to help you achieve the favorable outcome you seek.